Whether you are looking for a leisurely manicure, pedicure, waxing, or just an afternoon escape with friends, Nail Pro Spa's experienced professionals and technicians are dedicated to treat you with an exceptional service and a relaxing experience. 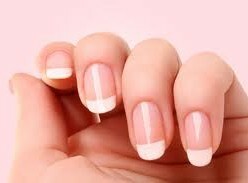 At Nail Pro Salon, we believe in inspiring and educating people to integrate wellness and beauty in their lives. We pay extreme attention to detail from the moment you arrive, until the moment you leave. Each service begins with a thorough consultation. We strive to create beautiful, creative, individualized nail styles and color that are modern, fashionable, and durable Our highly experienced team will create an individualized style and color that is modern, fashionable and suited specifically for you. Our impeccable service standards and continued advanced education ensure that we provide our guests with beautiful, stylish, healthy nails. It is with this confidence, that we guarantee all services and products in our salon. Please call (314) 576-9965 to make an appointment.